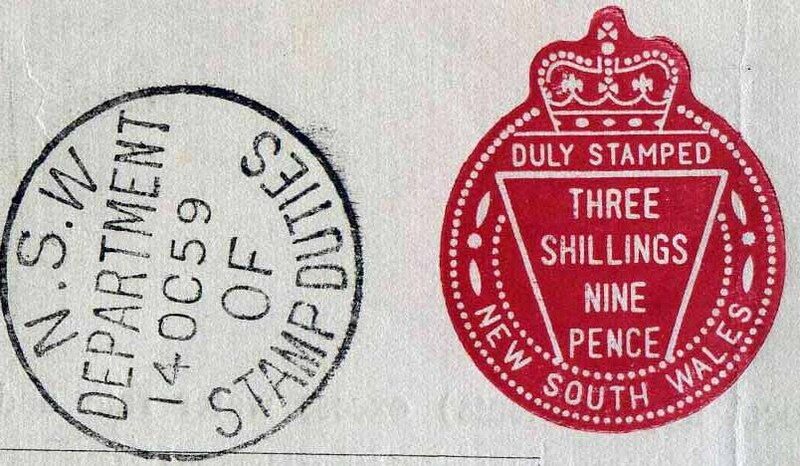 Nowadays, most Australians recognise stamp duties as the tax paid upon the purchase of a property. For example, in NSW the rate of stamp duty ranges from 1.25% to 7%. A popular alternative, or at least with economists, is that of a Land Value Tax (LVT). Despite the idea having been argued for since Adam Smith, the idea is most strongly associated with Henry George who famously argued in his best selling book Progress and Poverty for an LVT to replace all other inefficient taxes. The crux of the argument is that since land is fixed (as opposed to say the supply of labour or level of consumption) disincentives or distortionary effects of land taxes are not applicable. On the other hand, a stamp duty causes a distortion to the property market by disincentivising transactions. Logically, stamp duties decrease the propensity of someone to move, thus reducing labour mobility. Those individuals who have to relocate often pay more in stamp duties, which unless there was some reason to discourage people from moving, is inequitable. The Treasury's graphs below show the shape of the effective tax rate of a stamp duty over years of occupancy. The panel B graph shows the impacts of several moves resulting in a much higher effective tax rate. A flat rate shows the effect of a land tax (flat rate). By replacing stamp duties with an annually payable LVT land hoarding behaviour would be heavily discouraged. Governments would stand to benefit as stamp duty revenue fluctuates with the property market, whereas a land value tax would provide a steady annual revenue changing only when land values are revised. A land tax could encompass all property types such that the use of land is more likely to go that which is most productive, whether that be commercial, residential or industrial. Tax-free thresholds could apply to exempt low value land. Particularly of benefit to agricultural land holders. Different rates of land tax could be constructed in a progressive manner. Much like the increasing rates of income tax or stamp duty seen above. Replacing stamp duty with land tax would remove the supply impediments caused by the tax system. However, the tax system itself is not the major source of supply constraints. Currently land tax policy exempts owner-occupied housing, removing 60% of land by value from the potential revenue base. To avoid double taxation of those who have already paid stamp duty, the tax could be introduced by only applying to new transfers. The Grattan Institute estimated in 2012 that replacing stamp duty with a land tax would increase GDP by $25 billion. Other research based on Melbourne house prices suggested that the introduction of a land tax would decrease average house prices by 5% and would have a greater reduction on inner CDB house prices with up to 12% reductions. ... it would be very simple for state governments to allow such people to defer their land tax payments, which would be indexed at a suitable rate and only fall due when the property next changed hands. Thus the land tax bill could be automatically deducted from the sale proceeds of the property when it was eventually sold. Another administrative consideration is the difficulty in valuing land. However as the Economist points out, "the efficiency of the tax does not depend on accurate valuations." People don't like paying taxes. The issue with a land tax is that it is hard to avoid and an annually payable (or annually painful). It would be very easy to politically tar such a economically sound policy, as the great big new tax grab. This hasn't stopped up to twenty countries having implemented or are considering implementing the policy at some level. In Australia, the ACT introduced a land tax three years ago to replace stamp duties. This year, the South Australian government has removed stamp duties on business transfers and will remove stamp duties on commercial property transfers in 2016. However, they have backed down on their suggestion earlier this year of replacing stamp duties with a land tax on residential properties for political reasons. There are of course bodies such as the Urban Development Institute of Australia (UDIA) and the Property Council who would stand to gain from a tax change that would increase property market activity. Active engagement of such bodies along with public education would be necessary for a government wanting to minimise political fallout. For now it remains the economist's consensus and the politician's discord.